10 Year 2 children went to City Academy to take part in a Cricket multi-skills festival. Along with 17 other schools, the children had 2 hours worth of different activities that involved catching, throwing and hitting. 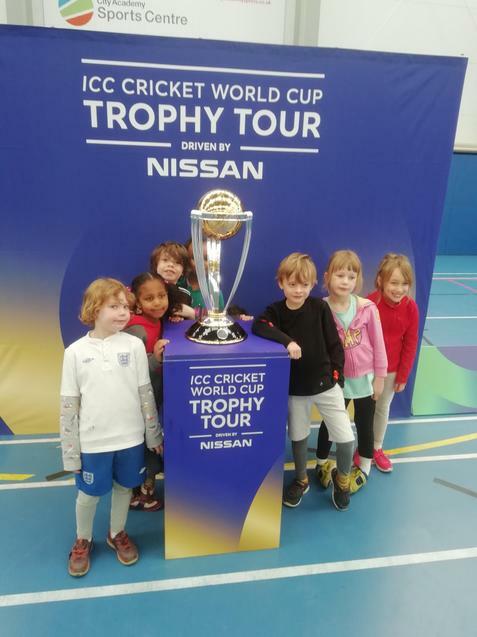 They also got a chance to see the cricket world cup trophy that is being competed for this summer. The children excelled themselves and had a really good time. Thank you to Kirsty for accompanying us on the trip and well done to all the children who took part.